Up to 450,000 environmentally contaminated Brownfield sites exist in the United States according to the U.S. Environmental Protection Agency (EPA). These Brownfield sites are waiting for redevelopment as potential customers and workers in close proximity often surround them. The redevelopment of Brownfields also promotes investment within the urban footprint rather than moving to adjacent, primarily rural counties whose cheap land and connections through the interstate highway system enabled cheap development since the 1950s. A prime challenge for public administrators is continuing the growth and development of a region while managing the sprawl that stretches infrastructure, harms the environment and increases taxes. Many tools exist to address the sprawl in traditional development patterns but tax and fee based Smart Growth Models may not fit slower developing regions that are still plagued by sprawl. While not all regions have the mountains, ocean and 70 degree year-round weather of California or the dense population and wealth of the East Coast to keep growing even while applying Smart Growth fees on that growth, all regions and states have Brownfields within their existing urban footprint. Brownfield are environmentally contaminated real property, but do not include property listed on the EPA’s Superfund List, facilities subject to unilateral administrative orders and facilities subject to the jurisdiction, custody or control of the United States government. Addressing environmental contamination is often the major issue associated with the redevelopment of an urban site. First, the federal laws created to protect the environment must be addressed. Federal environmental laws designed to protect public health create liability for contamination at sites that unfortunately freeze development. Federal law creates liability for the environmental contamination of a site even if the current owner did not create the pollution. To protect themselves under federal law, the new property owners can establish a “bona fide prospective purchaser defense” before purchasing the property. The new property owner can establish this defense if they can prove the pollution was caused by the act or omission of a contractually unrelated third party. Of course, the new property owner cannot be contractually related to prior owners or be aware of the hazardous substances. To obtain protection, the new owner must undertake all appropriate inquiry into the previous ownership and uses of the property consistent with good commercial and customary practice. New property owners will need to hire an environmental consultant to perform Phase I and Phase II reviews of the site to determine the level of contamination and create an approved cleanup plan from state or federal regulators. States who administer their own and federal environmental laws through a state environmental protection agency may have their own process to protect the new, prospective owner from punishment for owning contaminated land. Many states have reached Memorandums’ of Understanding with the EPA to create a state based process to protect new landowners. Liability protection is not the only public policy needed to redeveloped Brownfield sites. It also takes money. Remediation of Brownfield sites is expensive. Remedies vary from simply capping the contamination to removing, not just the buildings, but also all the dirt at the site. Brownfield remediation can add a million dollar plus expense that can make even an attractive location simply unaffordable for most development. 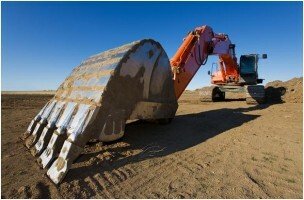 The federal government is a source for funding Brownfield remediation. The EPA offers funding for Brownfield assessment, cleanup, development and job training at contaminated sites. Assessment grants fund the Phase I and Phase II review of environmental consultants who can inventory, characterize, assess and conduct planning and community involvement related to Brownfield sites. The EPA grants range from $200,000 up to $700,000 to assess a site contaminated by hazardous substances, pollutants, contaminants or petroleum. Federal cleanup grants provide funding to remediate polluted site but funding is limited to five sites per applicant and they must have a 20 percent cost share. The main challenge with the federal Brownfield cleanup funding programs is they simply lack the overall funding to address the scale and scope of the challenge and its $200,000 per site cap on a per site cleanup funding does not come close to addressing most environmental contamination. The federal government also provides Brownfield job training grants to encourage employment at formerly contaminated sites. Federal grants go to nonprofit organizations, colleges and universities, and regional, state and local government agencies in annual amounts up to $300,000 for up to five years (totaling $1,500,000). These grants may be used to address sites contaminated by petroleum, hazardous substances, pollutants or contaminants. The federal Brownfield Revolving Loan Fund provides up to $1,000,000 in loans over five years for not for profit or governmental entities. This nonprofit restriction is a major challenge for the use of federal funding for wide spread Brownfield redevelopment. The challenges for the federal Brownfield program have not stopped the EPA from claiming success. According to the agency, $17.39 is leveraged for every EPA dollar expended. This program created 71,833 jobs nationwide. Storm water runoff from Brownfields redevelopment is 43 percent to 60 percent lower than alternative Greenfields scenarios. Furthermore, redeveloping Brownfields increases surrounding residential property values two percent to three percent. Many state policy makers implement programs as well to address Brownfields and struggling urban sites. Again, according to the EPA, 12,864 Brownfields were remediated in 2010 by states, municipalities and tribal agencies, constituting a 10 percent increase over the previous year. Brownfields program leveraged more than $14,000,000,000 in Brownfields cleanup and redevelopment funding from the private and public sectors and created over 60,000 jobs. Ohio points to many successful projects developed through its Brownfield redevelopment program known as the Clean Ohio Fund. The Akron Airdock is a 22 story long facility and was home to the famous Goodyear Blimp. In 2003, Lockheed Martin purchased it with the goal of using it for a new space age version of the blimp. Through the environmental protection provided by the Ohio Environmental Protection Agency’s Voluntary Action Program, backed up by an EPA Memorandum of Understanding, a $ 3,000,000 grant of Clean Ohio Funds along with matching funds from Lockheed Martin and local government, this urban site is being redeveloped and is retaining over 500 jobs and creating nearly 100 more. Public administrators at the local, state and federal government level, through effective public-private-partnerships, can clean polluted property and spur important job growth in urban markets. Successful strategies address both liability protection as well as funding for remediation to address development at these complex sites. However, the payoff in job creation and prevention of costly urban sprawl is substantial.